10 Years of Evolution. The Best is Yet to Come. Here I sit, writing this the night before our 10 year Birthday at Wealthy Affiliate. I look back and it is hard not to think about what would have happened if I had never connected with Carson, if we had never decided to buy the domain WealthyAffiliate.com, and what we would be doing on this very day if WA didn’t exist. But it does exist. And today marks the 10th anniversary of the very day WealthyAffiliate.com was brought into existence and the very day that we had our first member join our community. Looking back, I feel we have been on a relentless mission that hasn’t changed gears in 10 years. A defined motive that has not veered from the initial roots. One that we are proud of and one that stems from the humblisms of our respective upbringings. This is the reality. What we have done, what are are doing, and what we will continue to do moving forward within the Wealthy Affiliate landscape is based on the premise of helping others. This is the path we will continue to go down. It is all we know. Most Businesses Never Make it to 10 Years. How Did We? Most people live in fear when they create a business. They put themselves on some sort of ticking time bomb assuming that at some point their venture is going to explode. According to statistics, 55% of all businesses started fail by year 5 and an astonishing 71% (some say this number is much closer to 95%) fail by the 10 year mark. We never even considered this until I looked up these stats today. We knew they existed, but people can fail at anything they do at life. Some people don’t graduate from school. Some people don’t stay in good physical shape. Some people don’t build successful businesses. But anyone can beat the odds. Anyone. Be on a mission. Make a difference. Help others. Do something you love. The rest follows, and all of a sudden you don’t feel as though you are chasing some sort of figurative “success” benchmark. Rather, you are creating your own new hurdles, you are stepping up to them, and after you figure out how to jump over them, you clear them with one big leap. This happens over and over again. But the odd one will appear as though you cannot leap beyond it. We didn’t set out at Wealthy Affiliate wondering if we would ever make it to the 10 year mark. Instead, we have put our energy into constantly wondering how we can make things better. We have always strived for perfection knowing very well it never exists. It gives us an endless opportunity to improve. Looking back, there probably are some really “defined” reasons for our success other than just helping others and making our service better with each day that passes. I have come up with three and I am hoping that they will give you perspective with your business and hopefully help you crack the 10 year mark yourself. We Didn’t Build it Before it Came. One of the most famous sports movies of all time, “Field of Dreams” had a statement within it that is contrary to most successful businesses but tends to be the approach people naturally take when starting a business. The problem lies in the fact that new startups try to determine what people actually want before they have real people that are paying customers and that are using their service. You only know what you know… and we have always taken the approach that we don’t know best until we know first what our audience wants. If you look back at what Wealthy Affiliate started out as 10 years ago, you may have found our service to be laughable. We were a very simplistic keyword list site. Carson and I sat down when developing the concept for the company and we knew that we could help people succeed within the online space if we showed them exactly what we did. We had very happy customers even in our early days, but we took feedback daily and continued to improve Wealthy Affiliate with each day that passed. Here we are 3,649 days later. Still building “it” and people will continue to come as a result, one day at a time. We Didn’t Get Here By Slacking Off. We live in a world where our success is differentiated by how hard one works versus the other. Look around at anyone that has achieved any level of success around you and they all share one characteristic (hint: it’s not always intelligence). I have written a good deal on this topic and I will continue to emphasize this point to those that are looking to accomplish anything of real brilliance in business. It isn’t uncommon to see us up past midnight working. Pushing new ideas. Making improvements. Helping others. Grinding it out. Plain and simple. Focused hard work will always pay off if done over a sustained period of time in the business world. The moment when you are ready to “give up” is the same moment when someone else is willing to push forward and they will end up achieving much more success as a result. We Never Take Anything for Granted. Anything can wash away. Look at Blackberry (Smartphones), one of the biggest success stories Canada has ever produced. At a point in time they had a market share of over 20% (2009) and within 6 years that had dropped to less than 0.4%. 6 years and the most successful smartphone company in the industry collapsed. The same is always a possibility for your business. If you rest on your laurels and are constantly “celebrating” your success, you can get sideswiped and open yourself up to a slow leak in your business. One thing that we have learned a good deal about over the years is that complacency creates a stale business. You may not feel the effects of slacking off right this second, but it will always come back to haunt you. But also, don’t work to MAINTAIN. Work on your business to build. To grow. Focus on becoming better and make it an active goal to get better at something with each day that passes and naturally, the milestones you achieve will only become greater and greater. Never take your success for granted. If you do, it won’t be sustainable. The Past Year. One of MORE Positive Change Than Ever. If you look at just a few of the changes that we have rolled out in the last year, you will see the emphasis on making our service a more helpful one, versus making money our focus. We added SiteFeedback. A unique platform that allows people to get unique perspective on their website from REAL visitors. There is no other website platform in the world that offers this sort of insight so quickly and in such an easy to understand way. We added SiteComments. People can now achieve interaction and engagement on their website in a way that has never been done before. We improved the SiteRubix platform vastly by improving security, removing the need for manually logging in, we re-invented the way people manage sites and people can now determine their SiteHealth using this unique to WA system. We vastly beefed up the technology behind the platform at WA, moving it to a completely new and far more distributed environment. In non-techy terms, this means that Wealthy Affiliate as a platform is far more scalable than ever in terms of supporting high usage volumes while retaining fast loading speeds. We made many improvements to Live Chat, making it more efficient to communicate and get instant help from the community. We streamlined and improved the way people are notified within WA. We focused a great deal on website security. We have advanced the way in which Wordpress websites are hosted and secured from many different angles and I can affirmatively say we are doing things in the hosting industry that NO other company is doing. We increased the number of hosting experts and availability to them to 24/7/365. Average response time for any hosting requests is MINUTES. We made continual, ongoing and often times daily improvements to the training at WA. The training is current and geared towards helping people succeed in 2016 and far beyond. We offered the community 52 new Live Classes that covered a brand new topic each and every week. We continued to offer the same level of support we did on day 1, in fact, the support and help people receive within the community is quicker than it ever has been as we have continued to improve the support channels within WA. The Last 10 Years Are NOT the Focus. The Next 10 Are. We have learned A LOT in the last 10 years. Not just about ourselves, but about business, about other people, and about relationships. When you go into business with no experience, everything is a NEW experience. You have to shift quickly and you have to truly succeed at anything you do, you need to remain flexible to change. That is sometimes why it can be better to have no business experience prior to getting into business. You don’t have baggage and you don’t have “rigid” ideas and processes that you think are the best. Your audience and the people that you work with will naturally teach you what is best… and that goes for absolutely any industry, any niche, and any audience. Your audience is your business. Your customers are your business. That is something that we continue to learn about as each day passes and something that we promise everyone here that we will never lose sight of. We will keep moving forward. We will keep pushing the envelope. And we will continue to learn about business with each day that passes. The Best is Yet to Come. Period. Although we have made it to 10 years, we are not going to sit back and celebrate. Today is just another day, another day in a much bigger vision and gameplan and we can’t wait to see where the Wealthy Affiliate community is next year… let alone the next 10 years. Wealthy Affiliate has never been a stronger, more engaging, more established (yet innovative) and helpful place to create and grow a business online. It is only going to move in this direction with the new platforms, features, and support systems we implement. What we have planned is going to blow your mind and we are months away from some of the biggest releases in our history. 2016 is already completely slated for new and exciting projects that will continue to benefit YOU! Many of these projects are already in motion and far beyond the “idea” stage and well within the “development” stage. The most exciting times are yet to arrive. But when they do, get ready to embrace them because YOU are the reason we push forward, and YOU are the reason we continue to strive for perfection. And today’s 10 year milestone is as much about YOU as it is about us. We couldn’t and wouldn’t be here today if it weren’t for the folks here within the Wealthy Affiliate community. We want to thank each and every one of you for being such an important part of our lives and cheers to an exciting journey into the sheer awesomeness that lies ahead. Wow!keep it up and keep the fire burning at WA.What a journey?a decade of great inspiration.I salute for laying a strong foundation we are all pround of.Indeed am glad to be a beneficiary of a programme deeply rooted.am amazed by your achievement,I have learnt not to forces on the past but the future.keep on soaring high. I am just one of the many you've got on your hands to teach all this to, but am so motivated, thanks to you both. I look forward to 2016 and beyond for all you both will be doing in helping each of us to be better. Thanks, again. What a fantastic story and inspiration.. Well done Kyle and Carson in getting past 10 years and all the very best for the next 10 years. Thanks for all the tools and info. May WA go from strength to strength under your leadership! Hate that auto-correct - I wrote "fumbly", Not "dumbly"
Ten years is really quite mind-blowing! Just think of all those hyped programs promising ' miracles', which are too costly, or too complicated ( for us simple folk), or which simply do not deliver ....... and which just vanish! Q.I really want to take up your $299 offer, but will need to earn some money using the free option before I will be able to do so : all I be able to do that ? ..... See how slow and 'dumbly' I am ... Lol. You can if you follow the training available to you. It may be slower but it can be done. There is just so much in here if you get the chance to go premium go for it. I will be here in 10 years time to see how wealthy affiliate would have developed into. Hope it beats facebook though. I hope I will contribute something in it's development. This is a never ending story. Wow ten years! That is awesome! Congratulations Kyle and Carson! I look forward to Wealthy Affiliates coming years! That's a great attitude Shirley! How are you doing with the training? Glad you are here. It's great that this is such a supportive community for success in all aspects of our lives. I hope your health will benefit greatly from being a part of this community. Much success to you sdawson!! You guys are good people. You deserve all the prosperity you've worked real hard for. keep going and keep-up! I think your good peeps too Meherbani! Kyle, I just read this and I am really and truly thankful from the bottom of my heart that you and Carson created wealthy Affiliate to help me plus thousand of others. Thank you, thank you, thank you. I know that it took a lot of focus and determination to be at this stage. This is a total inspiration to all of us here at WA. Kyle and Carson, you truly are servants of this community. You have made such a difference in the lives of so many and your desire to help others succeed is what inspires me to stay the course. You are Noble leaders, keep up the good work and know, we all appreciate the two of you more than you know. We anxiously await to see where you take us as we head into 2016. Press on My Friends !!! Thanks for your kind words Rick, running a business the way we do is all we know. We have lots of exciting stuff in the works and you are going to see some really innovate and forward thinking stuff over the next few months and through 2016! You two are a great team doing something that most guys would charge big bucks for. I want to congratulate you both. Thanks for your kind words George, one thing always remains a constant though. We always know we can get BETTER with each day that passes, we are truly on a mission! Kyle & Carson... I don't have words to express my gratitude, but I just want to say that you inspire me beyond measure and I am striving to meet the LV goal so I can celebrate with this wonderful community in person. Thank you, thank you, thank you! I have read and re-read this post several times. Each time I do I am looking for words to express my gratitude. There are so many salient points embedded in this 10-year anniversary message that serve as encouragement. Of the many things that stand out, this statement hit home for me; "Focus on becoming better and make it an active goal to get better at something with each day that passes and naturally, the milestones you achieve will only become greater and greater. Never take your success for granted. If you do, it won’t be sustainable." What you have and continue to create is sustainable because like so many others here, I intend to stay and to keep learning and growing. And that while I am also deeply engaged in another educational service that matters very much to me. One thing that I have said in comment streams here and there over the past almost 2 years is that you both are remarkable young men. I have wondered about your upbringing because to have anchored in your souls the spirit of making a difference and helping others means you have had access to great values. You don't make a big deal about it other than to say that your mission "stems from the "humblisms of your respective upbringings". Yes, I have found you to be humble and to be profound and I am both humbled and grateful to have found this education and community that has grown from you and Carson's vision. Thank You, thank you both for everything you bring to your business such that I am able to be raised up and, along with others, we all can brilliantly shine! I completely agree, Linda.. I have no words to express my gratitude and how really blessed I feel that I found Wealthy Affiliate. I am completely inspired and fired up! Sending out a huge thanks to the WA community and to Kyle and Carson! Wow you can feel the energy and the hard work in the 10 Years of EVO, I was inspired immensely in the fact perfection doesn't exist, gives you boundless opportunities for a lifetime wow Wa very humbling thank for sharing, looking forward to the awesomeness that lies ahead. thanks a lot for letting us participate on your inner journey! I'm happy to have met you on the net. To me, you represent the healthy and attractive American Spirit which is under siege at the moment. I'm looking forward to be part of the journey and share my success and insight with others! The best part about it is we can do this too. The only difference between Kyle and I is the amount of time he has invested into this online business. Building a successful online business takes hard work, and keep doing it everyday. Never forgetting your true goals. The sky is the limit. Be awesome, stay awesome. Thank you Kyle. ..and the best define yet to come ,since I just join the group. Hopefully I will be as lucky as the two of you , there's a old saying Good at tracks Good. Therefore, this should be a good business venture , one of the best I've had. Thank for this magnificent opportunity. Yeah, those that try to convince you that a selfish approach to business is the right way know very little about business...or if they are in business, they run a very ruthless one (which is usually short-lived). We promise to never veer from our ethics. Most definitely, an exciting journey lies ahead! Wonderfully stated. Thank you both! No doubt those who have ridden along on the evolution of your vision and those who have just stepped into your very progressive last few months are very thankful for your sustainability! The future is going to be just as progressive, if not more. The thing that really excites us is that we are sitting on the firmest foundation from a community, technology, and team aspect that we ever have. Thanks for your kind words and I really look forward to the journey ahead and you being a big part of that! We are so glad we found WA after a 10 year period of nothing but SCAMS. Keep it going! We are in for the long run. Thanks and Congrats! Congratulations on this achievement and this anniversary! I am very glad I found this awesome community! Congratulation to both you and Carson! I feel fortunate to partake of your knowledge. Thank you for everything that you and Carson have done. Much continued success to us all. "You can have everything in life you want, if you will just help people get what they want." Once again, thanks for all of your help. I have always loved the quote Philip and any quote we read only truly makes sense when we actually see it for ourselves. I can say that we have achieved what we want, not just from a financial level...but moreso a personal level by helping others out. There is nothing more gratifying that helping people. Money is secondary and is the byproduct of the first aspect and money will not create happiness in the same sort of way that loving what you do will. It's nice to be on this ride together. Kyle & Carson, congratulations on yr 10th year anniversary!! Wow!! So wonderful to have you as part of the community here Carol and our goal has always been to shine a positive light on an industry that has always been known for "taking money from others". We have one goal, to help people succeed online. Our focus will continue to zero in on this with very update we make, every evolution WA has, and with every new platform or feature release. The best is truly yet to come! WOW! At this point I'm glad to be aboard. I was considering NOT renewing. But I'm excited now that new features and forwarding moving momentum is in the works. Looking forward to it all. Thx Kyle. No reason to not renew Donna - it's go time instead! Start building your site and don't stop! Everything you need is here already to crete and grow a business to any level online. This is only going to be amplified as we move forward and we continue to better the service for members here at WA. I can't wait to see where you take things moving forward, you have a ton of potential and with some hard work and dedication you will absolutely be able to realize this. Thank you so much for your care and dedication. We all feel and notice your love and work on our behalf. I'm so happy to have finally found a cyberspace to call "home"and a community of brothers and sisters to share with. This is an exciting, interesting and sometimes exhausting experience, and I am thrilled to have lived long enough to find such an honest and fulfilling place to learn and grow. Thanks SO much Kyle and Carson! Thank You Gentlemen. It is my privilege to be part of WA and friends with you. What a wonderful summary of where you've come from and how you got here. It is truly a privilege to be part of this family you have built, and to share in your success becoming our success! Keep on keeping on . . . we're riding on your coat-tails! Thanks for give us a good reason to celebrate this important milestone in the evolution of WA. We, too, are looking forward to the coming months and years and appreciate your inspirational leadership in our community! Happy 10th birthday Wealthy Affiliate and congratulations to Kyle and Carson. The sky is the limit here and you've done a great job putting it together. Thanks for sharing some of WA's story with us! Are you getting spammed inside WA? If so, there is a spam indicator on most posts. You can also remove yourself from discussions if you are having issues with a particular thread. Feel free to PM me with the details if you want a complete answer. Congratulations Kyle & Carson and best wishes to your families as well. Congratulations for achieving success through striving to help, and maintaining your integrity and humbleness along the way. Your whole ethos, and what you have and are achieving, is something you can be truly proud of. Congratulations on WA's 10th anniversary. That is truly a great achievement. I have been a member for two and a half years and all that time I have just continued to learn - what an experience. First and foremost just want to say Congratulations for the 10 years of hard work. Creating and buildibg the solid foundation of WA and Striving for more improvements of the system which is truly benificial for all of us as a member of the community is truly amazing. The drive to teach and helping people to become successfull to create and outgrow their online business for me is the true definition of success. So once again, congrats for the incredible work and accomplishments. Hoping for many many 10 years more to come. Your words; "Be on a mission. Make a difference. Help others. Do something you love," are words to live by. Thank you Kyle and Carson. Kyle and Carson, my respect to you good sirs. Congratulations on your success!!!!! I have only starter with WA for about 2 weeks, and I can tell without a doubt that you and Mr. Carson have build a dream on how you can serve others. Few can do what you have accomplished. The education provided to your members is a product of your hard work and efforts. I can't imagine anything that could reach out to the world and teach better than what you have done here. I look forward to your next 10 years and have every intention on being with WA for the duration. ... "we have put our energy into constantly wondering how we can make things better. We have always strived for perfection knowing very well it never exists. It gives us an endless opportunity to improve." This defines who you guys are. The future possibilities seem endless. You guys must be very proud of your accomplishment. You have helped yourselves and continue to help others. I still am very highon Wealthy Affiliate. You guys really offer something great. We are prouder of the community and what they have accomplished. 10,000's of full time incomes and many, many very successful folks have derived out of what they learned from WA and the platform here..and the network and relationships they have built. That is our ultimate goal and there is a lot more of that to come! My wife and I hope to keep our relationship with Wealthy Affiliate for many years to come. Kyle and Carson, what you have created with WA is awesome and, as you note, will continue to get better. Your platform has given hope to many, many people all over the world. Obviously, it's up to each one of us to take the platform information and make it work for us. Just like the manager of a sports team, you can't "play the game" for us. Thanks so much for all the effort and planning that you put into WA. Congratulations on achieving 10 years. We can't play the game for you but we can definitely help make you a better player and give you the best equipment in the world to get the job done! Exciting times are ahead and we really can't wait to see where the next year takes things, let alone the next 10! Congratulations K and C! 10 years in the game is a true testament. Looking forward for the years to come. KC and the Wealthy Affiliate Band...Cheers! Thanks, we look forward to the journey ahead with everyone! I joined WA 7 years ago and let my membership lapse after a month or two. How I regret that decision now. I will not be making that mistake again. Been an awesome journey thus far with you Ian and I look forward to working with you in the year ahead. I hope it´s ok I come with an idea that I have been thinking a lot about. The community here is very special and great. It´s even incredible how active people are to offer help. But like always, it´s some people who gave information that you feel more vital than other. So I thought if it was a good idea to have the possibility to follow people some way? It could even give that people higher ranking. Thank for let me know. I check it. But number one is thanks to Kyle and Carson for the great job! Great to have you as part of the community Johann! Thank you, Kyle, for everything. And sorry for this thread robbery, the focus is and should be how great job you and Carson had done with this great site! Leonila here, just want to say how are you ? Thank you so much for being nice and so kind and most of all for being so supportive during my First week within WA. Just upgraded my premium membership to yearly 3 weeks ago and I'm looking forward to concentrate my training soon. Awesome work. Thanks for the thought and hard work you guys put into this project. It has really paid off. No problem Oral, wonderful to have you here as part of the community! Congratulations Kyle and Carson , What an acheivement for you guys and your team . Wealthy affiliate is a truely sustainable business . The platform you have created and which continues to evolve must be a source of immense satisfaction . Ten years how many people have you helped ? The totally amazing thing an other ten years how many more people will you help ? Something only becomes a sustainable business when you offer others something that they actually want and benefit from. We continue to increase the "benefits" of being part of the community and solidifying the existing service. Exciting things are to come! An awesome achievement, congrats to you & Carson! Congratulations to both Kyle and Carson on their 10th anniversary. May there be many more. And to all WA members who have prospered from their generosity. Congrats to everyone at WA. It's my absolute privilege to wish you both ENORMOUS CONGRATULATIONS for an incredible achievement and milestone, Kyle and Carson!! Very happy for you both and feel a very deep respect and tonne of gratitude for what you have done! Was so interesting to read about the humble beginnings of Wealthy Affiliate, and understand the way it has grown and become more and more involved. My own brief experience within WA has taught me so much about how more keeps being revealed to me, that online business (as with anything) is not something I can do half-heartedly and expect returns, and also, the nature of working hard and persistently towards success. I feel very grateful for discovering WA and immensely proud to be a member of this genuinely helpful, friendly and strong community. It's a terrific reflection on the generous motives of it's founders. Here's to being a member of, and to the continued strength and growth of Wealthy Affiliate! Congrats on a winner Kyle & Carson! I've never been part of a better community! WTG! Absolutely, what you see here now was once a fractional "seed" when we started WA. Through time, feedback and constant focus on making the community/service better, Wealthy Affiliate has become what it is today. And tomorrow it will become better because of this same focus. We can't wait to reveal what we have in store for members as we do move forward through the remainder of 2015 and into 2016! Good on you mate...sincerely! Thanks for such an awesome opportunity which is WA. It's amazing to feel a part of it and to get a glimpse of the progress the company has made. Thanks to you both - Kyle, Carson - for WA has played a pivotal role in setting the stage for which me and my business proudly stand on. For that, I SINCERELY thank you guys. WA forever (and the crowd GOES WILD)!!!!!!!!!!!!!!!!!!!!!!! Love your quote! Stand proud man, you still have lots left to achieve and the journey ahead is going to be even more exciting than the journey behind us! Congrats Kyle & Carson on 10 years of success & making WA such a fantastic place to be. I'm so happy the day I came upon your website Kyle & decided to join. Like everyone else, I can't wait to see what's in the future. I am happy you found your way here Darlene, it has been wonderful getting to know you and I can't wait to see what the future holds for you! A wonderful thing to celebrate. To be able to help others grow and achieve their successes. It leaves a good history and gives meaning to life. You guys are awesome.Happy to be part of this great community. Congratulations Kyle, Carson and the Wealthy Affiliate team! Congratulations to you both on your 10 year's of success. WA is brilliant as it is, so the future looks to be amazing!. Wow! You guys are amazing and WA is amazing! I feel truly blessed to have found this community and learned to grow a working online business as a result of the information and resources offered here. Thank you, thank you, thank you! Congratulations to you both on your continued success with the Wealthy Affiliate membership community! Looking forward to all the changes that are yet to come! To both Kyle and Carson, what you guys have created here is truly groundbreaking, (without bringing an apple for the teacher). There really is nothing like this out there. May I wish you both a happy anniversary and here's to another evolving 10 years! Thanks for being who you are. An we will continue to be "us", that is all we know and I promise we will never veer from what our roots have always been. Helping folks and making a service that will continue to better serve folks within the online space. I always say that once every thousand years there's someone (or some people) who will change the world, whether in the music industry or in technology or science... you guys have built something truly unique and amazing that will pass the test of time. Congratulations, happy birthday and thank you from the bottom of my heart for sharing your knowledge with all of us and future members! I can't even begin to imagine the journey it has been for you, but I'm very excited to be a part of it now and to share in the excitement of what's coming next! Thanks for the kind words Sarah. It has been awesome getting to know you and we really can't wait to reveal what we have in store here at WA in the next year ahead and far beyond. The best truly is yet to come! "we really can't wait to reveal what we have in store here at WA in the next year " > This is worse than waiting for the new season of Game of Thrones looool, I can't wait to see what you have in store but I'm sure it'll be awesome! Big congrats guys! I wish I had found WA 10 years ago but nevertheless I am extremely greatful I found it just last week in fact. I still can't get over how all inclusive this platform is. Even though I'm new I just want to say thank you both for creating this. You guys have done an incredible thing with WA! Glad you found us now Peter, the future does look very bright and it is awesome to have you as part of the awesome community here at WA! Well done your help with information is what I have been looking for over the last 7 years but I only found businesses for online selling who just wanted your money and gave no help with any questions what so ever it is refreshing to see that someone has got what it takes like WA to put it altogether I had seen this banner before today and just put it into the garage with all other material from dozens of offers online non of which proved any good my determination to succeed will bring it home even if it takes me a little longer------- Enjoy your success where I look forward to greater progress with my achievements for online selling Cheers to You and your families Cheryl. Yeah, and this is the case in most industries. Companies tend to put money before people and that is where they fail and the cannot create any longevity. We are a people first business and every change we have made here within WA has been focused on making the service better and better for our members. ;) The best is yet to come! Congratulations Kyle & Carson! Honored to be here! This is very well written Kyle,I can do more but my mindset does not always let me do this,living with an illness that is mental is not great and also with bad depression.I have simply to take life as it comes to me,I am not really a forward thinker but you guys would need to be as you own this business,I try and live day to day and never plan to much for the future. Think ahead Mark, not behind. Think of what you are capable of achieving rather than the failures that might happen. Thing of a bright future, not a negative one. Your thoughts can control you activities and your overall success and when you can get these down you will have a much more exciting and seamless journey to success. Everyone has hurdles, overcoming these is what makes the difference between success and failure. Thanks Kyle,that,s great advice and I will have to change my mindset. Thanks gents for a great enterprise, one which I'm glad to be a part of. Thanks for this Kyle. I'm happy you guys met as well because WA is a great learning platform. Congratulations on the ten year milestone. And l want to thank you both for creating such a wonderful platform, thanks for letting us share, learn and improve. Do l say happy birthday WA? Just came across this site and this is amazing... Really can't wait to get going. Congratulations for these 10 years Kyle, Carson. Wish you many more years and even more success. This is the best blog post I've ever seen here! Here's to the next 10 years, Kyle! I'm definitely coming along for the journey! Blackberry's demise was the failure to recognize the market shift that took place with the iphone. WA appears to be keeping pace with the changes that are occurring with the marketplace. Looking forward to WA becoming the market leader and squashing the misinformation dealers and scammers that are giving this niche a bad reputation and making money off the uninformed. Congratulations on the milestone. Looking forward to continuing the relationship with this membership. Thanks! Been so wonderful to have you here for a better part of the journey Craig! I agree with your statements about Blackberry and it is very easy in hindsight to see where companies failed, but when you are in the thick of things it can be tough to see industry change before it happens. We plan on staying on top of and ahead of things in the industry and we are going to be rolling out features/services/platforms that have never been done before in the industry as we move forward...and as we have done in the past. Glad to see you make it. 10 years is supper and this is the best program I have ever been connected with. I can't even imagine what the next ten will bring, but the future looks good for online marketing. Thank you for building WA. You're helping lots of individuals achieve their dreams. Thanks guys, You have given me a lift just when I needed it, can't seem to get much traffic and was wondering if I should renew or not but now will definitely renew my membership when it comes due, should follow my own advise I guess, never never give up. Awesome Wayne, you will definitely get there and I will be there to help you with your campaigns if you ever do need a hand with anything. I look forward to working with you moving forward! "Blackberry (Smartphones), one of the biggest success stories Canada has ever produced. At a point in time they had a market share of over 20% (2009) and within 6 years that had dropped to less than 0.4%. 6 years and the most successful smartphone company in the industry collapsed". It sure does. It is OK to fear failure and if you aren't working with a sense of fear, then you are going to have little room to improve in the business world. We will always continue pushing! Congratulations and here's to another 10 years of outstanding success!! Thank you, I know I plan to be with you for the next ten! Thanks again for your remarkable vision. You guys are the best, thank you for this platform and the measures you take to make everything so easy for us. I needed to read that today, thank you and well done! Congratulations on 10 years of success...Keep up the good work. Gosh time flies! Soon your little ones will fly out of the nest:( Hug them, love them, enjoy them when they're young b/c another 10 years will fly by even faster. Congrats Kyle and Carson! Congratulations, wishing you many more years of success. The feeling of moving forward is here, for me was in the first contact, and the first ideas I had when starting my free week! I am so looking forward to this journey! Congrats! Fine message, thanks for WA. I feel privileged and blessed to be a part of this. It shows the power of Visions & Focus. Thanks you for responding to your purpose in life-Helping People. Congratulations, Kyle and Carson and all those behind the scenes in WA! 10 years is awesome! I remember finding WA back in 2007! So many changes since then but all great changes! You guys never took your foot off the gas and always kept your vision intact and continue to lead by example! Well done, guys! Eeerch...and we promise to continue burning rubber. When we make changes or improvements they are for good reason and we always have our members best interest in mind. ;) Exciting times lie ahead! Congratulations, Kyle and Carson, on your 10 year anniversary. It's wonderful to be part of this great community. I wish you another 10 years of success in business, and that we at wA will continue to share in your future endeavors. Congratulations on your 10 year anniversary Kyle and Carson. I am so glad everyday that I found WA. Here's to the next 10!!!! Hands down, and by far, the best experience I've had with an online business opportunity platform. Compared to some, I am taking baby steps forward. But forward, they are, and because of y'all, I am encouraged to keep going. Thank you! Kyle & Carson you have come a long and fruitful way I must say and your vision is the sky is the limit. From a rank rookie outsider looking in as I stand now, you guys are meaningful and are sharing your aspirations and success to date with others to inform them that success comes to those that believe in themselves or will learn to believe in themselves and must not be scared to put the effort in. I am sure that in many instances people, myself included, find new ventures especially online ventures daunting to say the least considering the multitude of "get rich quick schemes" that are around today which have disillusioned many people to say the least. However, with the genuine business offer and honest guidance as I am beginning to see WA prescribes and acts on, there is comfort that as one takes each step of the ladder there is guidance to the success that I am sure all want to achieve. Congratulations on your 10 years with a lot more to come and I am sure you will be hearing a lot more from me. Congrats Kyle and Carson and thank you for creating Wealthy Affiliate for everyone around the world to use. Thank you both for sticking through the challenges, hard work, frustration, late nights and even having to deal with persons from all walks of life, backgrounds etc, for being patient with us especially newbies like myself. May the Almighty continue to bless you and Carson with health, strength, the passion, perseverance and determination to continue to make WA the best online learning resource ever. I look forward to what WA has in store for us. I am grateful for all the training because I have learnt a lot about online marketing and what exactly it entails. I want to thank your families for allowing both of you to dedicate most of your time to WA and the community I know it cannot be easy for them to deal with sometimes but let them know that we appreciate this. All the best to you and the WA community. Congratulations on 10 years and the next 10 will be even better. Glad I decided to join WA your positive attitude inspires us all. Congratulations! Here's hoping for another 10 years and beyond of continued success. Happy anniversary Kyle and Carson, a very inspiring post, may I wish you all the best for the next ten years, I only wish I had found WA years ago. Guys, you have created one of the most amazing online businesses I know of. And you did it in the most fundamental way- giving the incredible value to others. You deserve all success you have. Can I expect a piece of cake in the post. Happy 10 Anniversary WA. May I commend Kyle & Carson for a job well done. Now that am a part of this awesome community, I look forward to celebrate the next 10 years, and achieve growth and development that I shall be proud to write home about! Thank you Kyle & Carson for giving your ALL to be where you are today and the promise to continue getting better! A lot of things happen on the 10 September for me. My mother, colleague's birthday and then WA's 10 year anniversary. I am so thrilled to hear you talk about how things has been and your visions ahead. With all the new features, I feel privileged to join this year, right after the SiteComments and SiteFeedback where launched. Since, I have learned so many new things, and above all, what I am most grateful for WA is showing me that there is a friendly and honest place to learn about building an online business. You know there are so much empty promises out there about making money online fast, it's ridiculous. I was determined to dive into the lessons, but recently I have not been on them as I was finding more and more resources all over the internet. Also I realize I wasn't as involved with the community, I though I needed prioritize working on my site so I was barely on WA for anything else than SiteRubix. Now it's time to be more present and involved. I realize for the most part a business is built upon relationships, also I want to give back more to this amazing community. Again, thank you Kyle, Carson and everyone involved and WA as a whole. Although I haven't seen results yet in my venture, I had a great time and I wouldn't be able to evolve as much as I did without you. I really love you. Congrats on the 10 year Anniversary Kyle and Carson! Congratulations Kyle & Carson, I only wish that I had come across you 10 years ago. Happy Birthday WA, congratulations on a job well done, here's to ten more successful years to the whole community. This is probably the most inspiring post ever. No Audience, then No Business. Congrats for the first 10 years! You have created the most amazing community online. Thank you for this and I'm looking forward to working with you for the next 10 years! The next 10 are going to be great, and challenging. I'm predicting that in the coming decade that evolving AI will totally take over search as the engines become more and more human-like. Keywords will become irrelevant and SEO will be more like creating a relationship with search engines as a friend and a colleague. It will be a strange new world, but an interesting one. Congratulations on your tenth year anniversary, what you Kyle and Carson have created is truly appreciated. Take care Wayne. Congratulations. My you have ten more years of success. Congratulations to Kyle and Carson for a job well done, and here's to the next ten years. I know if you too can do it, then the whole community can do it with WA help and our commitment. Nearly two and a half years ago I joined Wealthy Affiliate at a time in my life where everything was going awry. 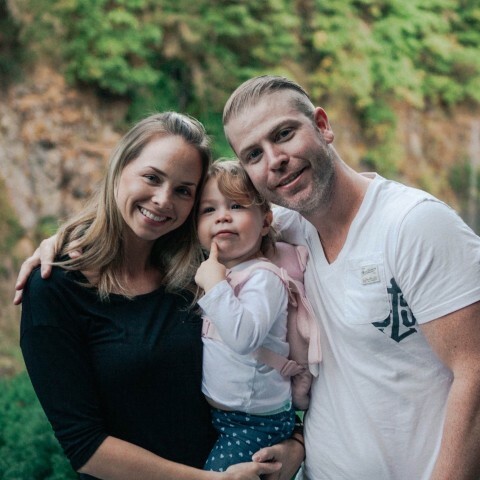 The therapeutic value of Wealthy Affiliate may not have been on the top of your business agenda but I want to say that you (Kyle and Carson) along with the WA community have been as much a therapy as a learning platform for me. You, quite literally, saved my life and although I have had blips along the way (who hasn't?) I am now at a place where life is getting better and I am looking forward to the future; especially my future involvement with WA. I love Robert's idea of having Carson produce a video so we can put a voice to the face. Carson, you have had to battle with a heart wrenching situation. The emotions of having to watch your child suffer cannot be put into words. The fact that your family has come through such an ordeal and Kai is now back at home, where he belongs, has brought a great sense of joy and hope to the whole of our community. I'm so thrilled for you. Kyle, you have mentioned that you are not going to sit back and celebrate. For such a special occasion I think that a sit back, relax and celebration is absolutely necessary - you definitely deserve it. So wonderful to hear WA has had such a positive impact on your life Jackie and to be honest with you it has done the same for many folks, ourselves included. Sometimes I get no better joy than coming into WA and communicating with other folks here, helping people, and simply hanging out with people like yourself that I feel I know as much as i do with people in the offline world. Enjoy your glass, I definitely enjoyed a craft beer myself on Thursday in celebration. Time move forward and get back to work on the exciting projects we have going on behind the scenes. I joined less than 1 month ago but really looking forward to finding out all the mentioned projects! Thank you and happy 10th anniversary! Happy 10th birthday to WA. Thank you Kyle & Carson for this excellent opportunity to build success. I'm disappointed ive missed the last 10 yrs, but i'm very excited and looking forward to the next 10 yrs and beyond here at WA. Happy Birthda Wealthy Affiliate, I'm looking forward to the next 10 year. Congratulations, I do think a celebration is in order tho. I'm sure you guys can dedicate an hour or two sometime today to celebrate all you have achieved! You guys deserve it! Thank you Kyle and Carson! Great inspiring post and I am learning something new everyday as I expand my business and training. Thanks for all that you have done and looking forward to the future! Thanks for making it all possible and congratulations on 10 mighty years of great work. You two are part of my inspirations to continue to stimulate my online entrepreneurial spirit. I have always known that I have had it and I was already making money online before WA was even thought of. I just did a post on my website that was more like my 2 year review of WA and how things have changed for me since becoming a member. I mention in my post that I came to WA with a slightly different approach than most. I came here not to start making money online, but to make money online more efficiently. As you probably know I have been in the tech industry since the late 1980s, early 1990s and have seen how quickly technology has come and gone. Being a former QA Engineer I have also seen how new technology can and will always present problems as they are rolled out and continue to grow. Everything in life goes through growing pains. This is why when I see certain technical issues arise wihin the WA community I always just wait, because I know you guys will eventually fix it and then there are times, especially if they are preventing me from succeeding :-) when I will inform you of the problems I am experiencing. That being said, I have always realized that success is a journey and not that much of a destination. Yes I set goals but not lofty ones, rather sensible attainable goals and when I achieve them I set new ones. This process is continuous which means I am in it for the long haul and WA is going to be where I will carry out my goals. I have added an image below that really speaks about how we as online entrepreneurs should see ourselves when starting out. For me, and this should be true of EVERYONE who wants to succeed online, that quitting should NEVER be part of your journey. Because when you quit you become a failure and your failure is based solely on YOU! Every successful entrepreneur had and has one thing in common. We are NOT quitters and we will find ways to get by when times are tough and financially lean. It is because of the latter that I am always writing about ways WA members can make money online with the knowledge that we all gain from the educaion we receive here at WA. Eddy just published a similar blog. I close this long comment with a couple of requests of both Carson & Kyle. The first one I know they will do, the second one probably not but I would really like to see/hear it and I am sure many others would too. It really is an accomplishment to have made it this far. I wish you the best for the next 10 years and look forward to growing with you.. Congratulatiions! Happy 10th birthday Wealthy Affiliate! Hello Kyle and Carson, I truly commend you for reaching this huge, gigantic milestone. As a fresh WA member(Joined August 2015) I really love what you guys have done and achieved. I don't know you personally but I can only imagine that we serve the same Creator. You guys are really special in my eyes. If you didn't start WA, I don't want to even think where I would have been today without your system. Yes, I know it is not just about you guys, its about all of us. When I first joined within less than 10 minutes, I said to myself, "this is going to be my home on the net." Today, I am still so excited that I have joined this community. The training, the people, the learning curve, it is all so amazing. What makes me also very excited, is to see what you guys are going to do next. You guys really, really blow my mind. In my eyes, I couldn't have found a better community. Thank you for creating this platform where I can learn so much. I thank you from the bottom of my heart Kyle and Carson and the com. You all have a blessed God-filled day. Bye. Congratulations to you both and thank you for taking others with you. Well done! "Kyle" and "Carson"
Really glad to read that you guys are improving things every year. 10 years. Well done guys. Quite an achievement. 5 years ago I was on the cusp of joining WA but got side tracked with a few other time consuming life dramas. Well something happened a number of months back that led me to start my search online again. That search led me back to WA. No hesitation this time in joining as to many coincidences converged to point me here. It would've been real easy to say the timing isn't right to join as my life now is busier than it quite possibly has ever been but quite frankly I have a deeper belief in success now than I have ever in my past...and I have had success in business prior to WA. Well guys it would appear you have created a portal. A jump zone for someone to go from feeling helpless and cornered in life to having real hope for their future. Somewhere a person can truly represent who they are and grow their future. For this reason alone I take my hat off to you both. To you both and to your wonderful supportive families I wish you continued health and success in the years to come. Congratulations Kyle and Carson! I wish you both to be very healthy for many years to come. Thank you for the great management! Congratulations Kyle and Carson, great motivational reading !! Hi Kyle and Carson and WA community. Congratulations with the ten-year anniversary! Everything you have said is right and also encouraging, but, honestly, I still have a little fear and disbelief. Within those seven years that I have in online business, I'm so much insidious and scam promises come across. But have to work hard to achieve something in life, it's in the incontrovertible fact. Wow! as a new affiliate I can only wish that I had joined years ago. What a journey and it has really only just begun.I am impressed and inspired. Well done to both of you. Congratulations Kyle and Carson, I am so happy to be a part of this successful story. Wish you all the best. Congratulations guys and I'm glad to be part of WA because I've learned more here than any other training I've joined before. Thank you for your persistence and may we go on for another 20 - 30 years. Congratulations!! Ten years is a long time. Ten years of continued improvement must be very rewarding. This makes me also question myself what I have been doing in the last ten years and vow to think about continous improvement in the coming ten. A good step is having located WA. Oh yeah, and I am looking forward to more fruitful years @ WA. Thanks for keeping it alive and dynamic! Cheers to Kyle and Carson! Thankyou Kyle and Carson. So happy to be here with you. Congratulations to both of you and thank you for all that you have done and plan to do in the future. I am excited to be part of WA and to benefit from all that you have accomplished before I joined. Because you get it, I and many thousands have benefited from your passion, your dedication, and your savy. Thanks for that, all the best for the next 10 years! Note: If I have anything to say about it, I will be around here to see you both celebrate the next 10 year milestone! Thanks for the awesome message and for the support! We're really excited to be able to post about 10 years since the day that Wealthy Affiliate was released and we are lucky to have someone like you here to share this moment with us :). We have a ton of awesome things in the works and I think that you are really going to love the direction that we're heading. I raised my beer to cheers you right back! Thanks M8, these two make it easy to make such a comment! Cheers! woa,WA is ten.Happy 10th Anniversary to this great community.I am so so happy to be associated with WA.To Kyle &Carson;,i say a big congrats and thank you guys for keeping it at the top uptill this golden time.I will definately be part of this community for the next many years to come if Christ tarries. Kyle I can't wait to see and grow with this community the next ten years. This blog is powerful and inspiring. Keep up the good work and we will follow and pay it forward!! How inspiring! Kudos to both of you. Here is to continued success. Great post Kyle and Congratulations on 10 years! (Kyle and Carson). I have been in IT for 20 years and I agree these websites are rock solid. For the 100K+ websites running this is a very scalable platform. Looking forward to 2016! Congratulations on 10 years of service to the WA community. The best days are ahead. I wish you continued success. Way to go, Kyle and Carson. You created a wonderful community. You gave your helping hand to everyone needing assistance to enhance their goals in life. I am one of them. A decade is a long time. Kudos to your efforts and all the best to you both. It's great to be a part of this spectacular community of people! Love Field of Dreams, Kyle so the blog title is fantastic. Say curious, does WA have any type of "history" meaning a section of the site that details the history of WA? That could be interesting to have a timeline of sorts to let the members know the milestones of the site. Looking forward to more - cheers!!! I have done a Then and Now blog... WA Then 2012 vs WA NOW 2015! What a wonderful achievement guys. Its funny when you do look back and say "I wonder what would have happened if ...", everyone does it, but the exciting stuff is always in the future. Today I was talking to one of the 7 people who I had to make redundant at the business I work for. I was telling him about what Im doing now (affiliate marketing) that will help me replace my income when I finish up at the end of the year as the business downsizes further (guess what, the business is 9 years old). Life is unpredictable, but its the forward vision and goals to succeed that will make it come together. I'm glad I found your site. You've definitely hit the nail on the head! Life is unpredictable and it's always evolving and changing. One thing that we can always have control of is how we face each day and how we work toward our goals. Kyle and I have a mandate that we will help as many people as we can build online businesses. To do that we need to keep moving forward, improving, and simplifying the process for folks. Congratulations and thank you Kyle and Carson. You have provided a lot people knowledge and opportunities to do better in life. Congratulations on your anniversary Kyle and Carson. This has come at a momentous time for me. I got rid of a site: www.mixtproducts.siterubix.com and transferred it over to a Name cheap site: www.clearcopywithmike.com. I am building it rapidly and will be putting more bells and whistles on it in the next month. This is a great time for us all to be enhancing our journeys! Congratulations Kyle and Carson! You have created a very special place here at Wealthy Affiliate! You deserve all the success you have achieved and I'm sure the next ten years plus will be even better! You are both amazing people!! Congrats. I definitely will follow WA for the next ten years. Best wishes. congratulations on 10 years and thank you for allowing me to be apart of the next 10 years. Too all of our success! Happy 10th anniversary to WA!!!! I am involved in so much right now in my life I have been working when I can here. But I haven't given up on WA because it is still the one place where I found honesty which is hard to find when starting out. I know you guys will still be around for years to come and look forward to being A part of the WA family as I grow and learn the business. I can't think you enough for all the help you gave me since I cam here also. So once again HAPPY ANNIVERSARY!!!! Wow,. That's an awesome testimant of your determination and personal drive and passion .. I pray that I can imitate a 10th of what you have accomplished, and feel like I'm really doing something great .. just to pick your brains and soak up a morsel or two the knowledge you've developed and gained along the way,. And the joy you clearly have doing what you love .. I don't think I've ever encountered anyone so determined to help others be successful .. Congratulations to you both on being 2 of the most outstanding human beings on the planet ..
Kyle and Carson, you have been on quite a ride, I can only imagine. But to include so many by sharing your expertise and making a platform for others to share what they Know is exceptional. Thanks for letting me be a part. I still have a long way to go but the growth and relationships I have attained in 2 months are remarkable. Up so others can share thyis experience! Thanks and congratulations Kyle and Carson, a remarkable achievement which we love and appreciate and yes. I AM READY FOR THE RIDE! Congratulations on your ten year anniversary you and carson have done a great job on creating wealthy affiliate with the training and community and I am happy to be a part of it. Congrats! Looking forward to spending the next 10 years with you guys! YOU and CARSON are the reason I did not quit, the reason I did not give up........I am forever grateful to you both, to WA...to everyone here. Even though my 'success' has not arrived monetarily, I am successful each and every day.....thank you.